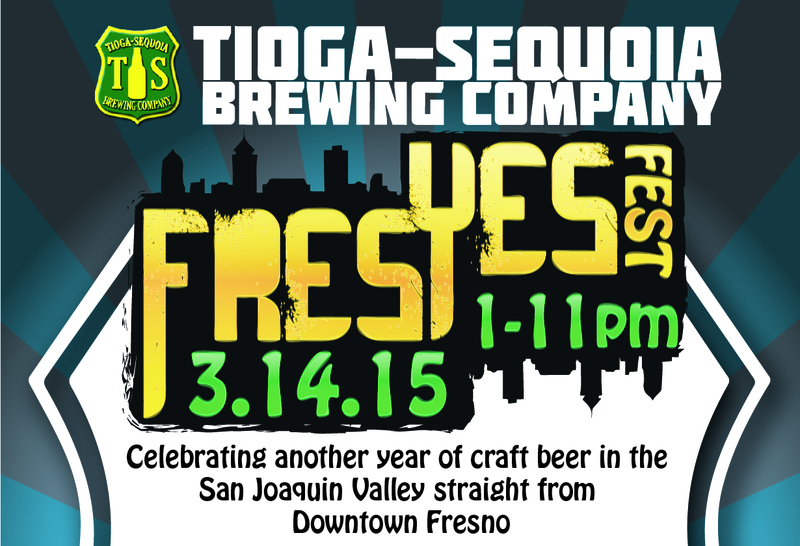 FresYesFest | Tioga-Sequoia Brewery Co. This year we will be featuring the music of 40 Watt Hype, Mofo Party Band, OneHotMinute, and Will Bollman. 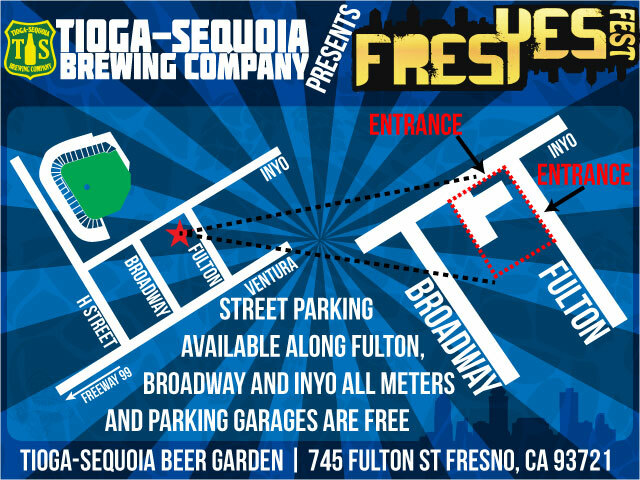 Street Parking will be available all around, Fulton, Inyo and Broadway including the parking lot across the street from the Event. Meters are not monitored on Saturdays. This is our way of saying thank you to our customers for supporting our mission to bring the best craft beer to the San Joaquin Valley. What better way then throw a giant party. Hope to see you then.